Autumn is fast approaching and this season there are some amazing looks in the stores that are sure to inspire and delight. In Autumn 2018 some previous looks are brought back. Old fashioned florals, padded shoulders, and comfy sweaters are some of the looks for next season. The classic suit is a staple. Some are revamped with removed sleeves. Classic colors such as blues, camels, and blacks are in, and chocolate brown is huge this year. 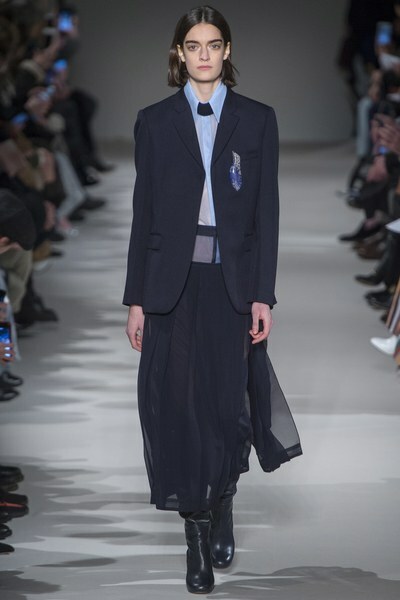 Oversized blazers are on trend, and in noted brands such as Alexander Wang and Van Noten wide shoulder pads are back. Look out for lots of Faux Fur this season, snuggle up in your favourite coat or shawl and don’t forget to choose your best colour! 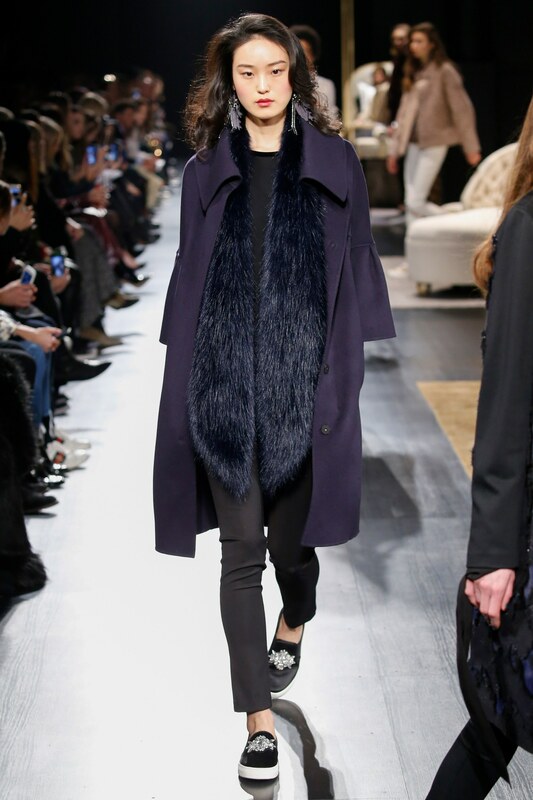 Victoria Beckham’s gorgeous cape-coat with a fringe hem and buttons. She is going for the asymmetrical look, I’m a big fan! Images by Victoria Beckham/Vogue Runway. I must say I love what designers have done to our white classic shirt. Statement sleeves or a hint of embellishment will give your outfit a wow factor. . 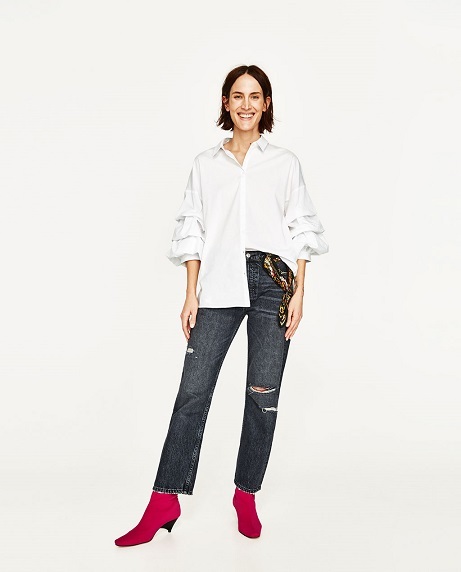 Images by Zara – white shirt, pink funky ankle boots and on trend jeans. Sweaters, ribbed cardigans, round necks and crew necks are in this Autumn. 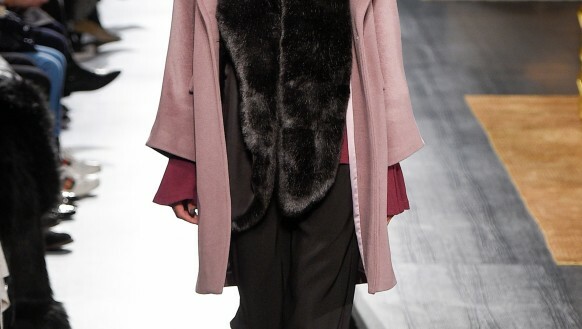 Camel tones, bright colors, neutral tones, and shaggy wool blends keep you warm as the temperature cools down. Boots in all shades including camels, neutrals, and bright reds are in the stores. Huge wedges are popular this season too. In New York, Fashion Week denim heels and wedges were seen, along with higher than high sparkly silver on black heels by Oscar De Lar Renta and Badgley Mischka. As your personal stylist in Melbourne, I can source you a must-have item whatever your budget! Team with black fishnet tights and minis, mid-length and long skirts and dresses. A-line skirts in mixed materials and colors have been seen by Christian Dior, Victoria Beckham and more. The Aline is back – and looks fabulous in mixed fabrics and over tights and fishnets. Vintage floral is huge this season in shoes, boots, tops, pants, gowns and everything in between. Mixed fabrics are seen in full-length dresses, and short lengths, and A-lines. With so much fun fashion this season dress to express yourself. As your personal stylist in Melbourne, I can help you to create a completely new image and style, or mix and match a few items with your existing wardrobe to update your look. Contact us at AK Style for more information today!